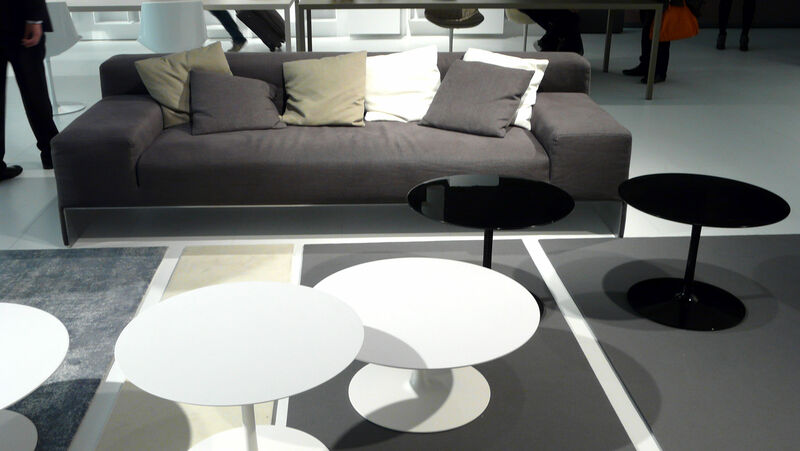 Round coffee tables in three dims. 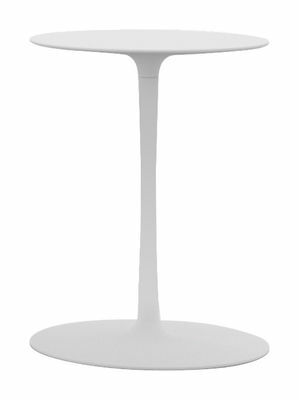 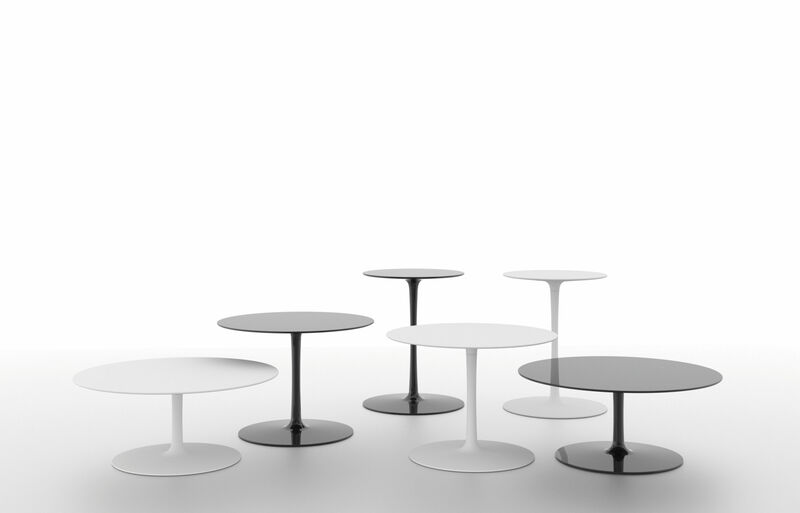 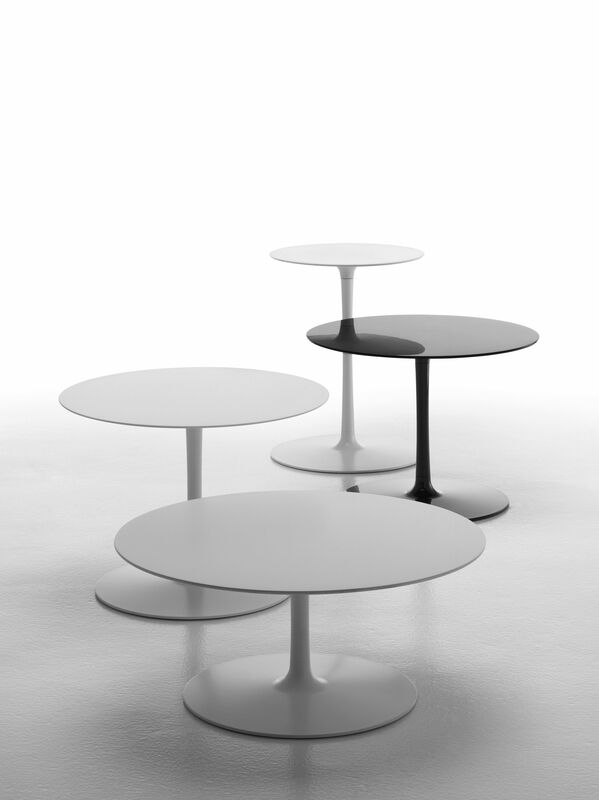 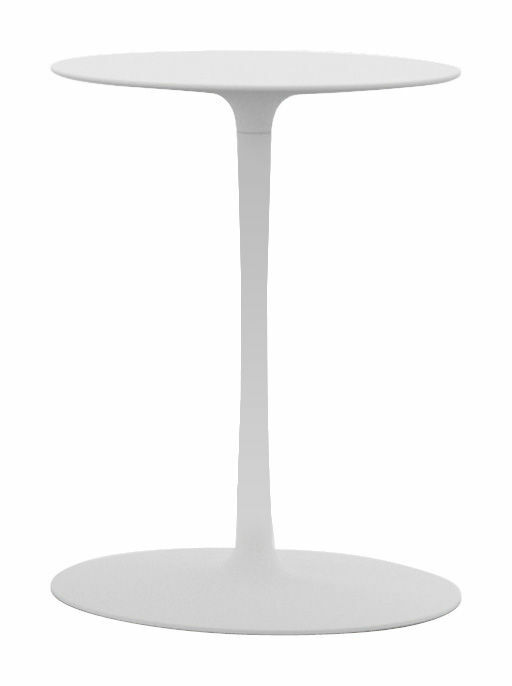 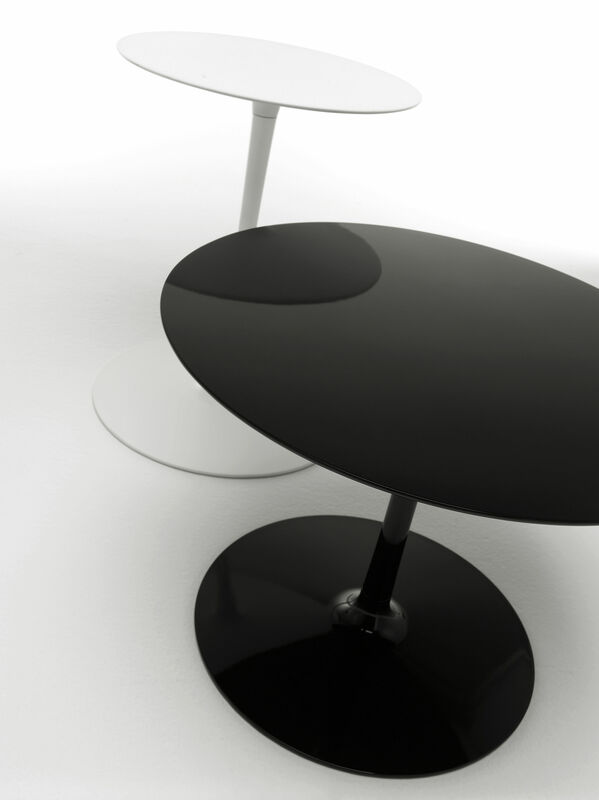 Base with central leg made of aluminium, lacquered in matt white or gloss black. 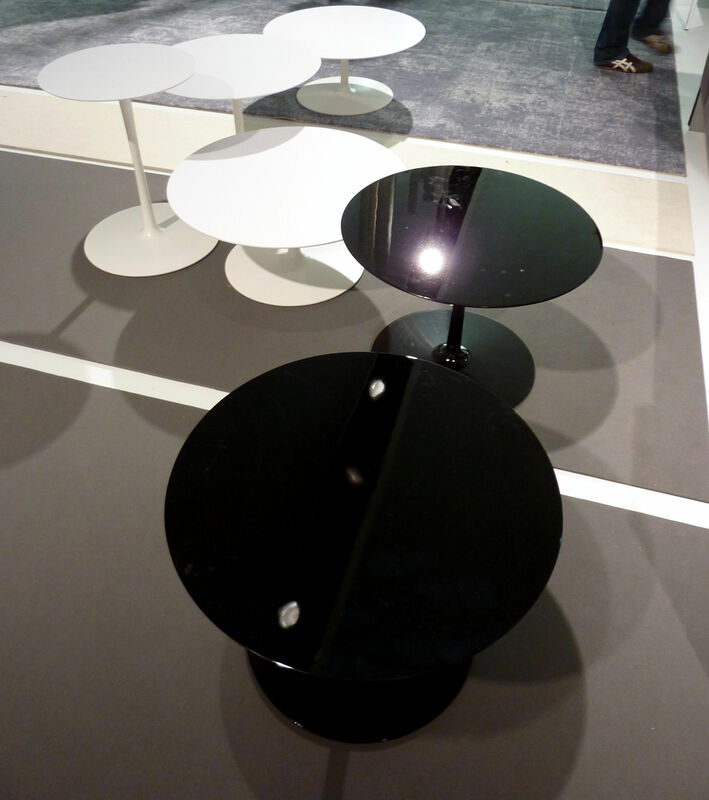 Tabletops in matt white cristalplant®, or gloss black ceramilux®.